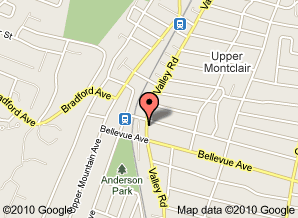 Montclair Paperie opened in July 2002 in a small storefront located at 547 Valley Road in Upper Montclair. After two years, it was apparent that we were growing out of our space! We then took over the storefront next door to combine the two spaces. In July of 2007, we found our new home at 623 Valley Road (just up the block from our old diggs). We have now been here for quite a while and love the new fresh space. We have plenty of room (almost) for everything! We hope you will come visit us and stroll around our charming village of unique shops and eateries. Take a peek below at some photos of our store.